This recipe was in the Winnipeg Free Press Recipe Swap today, it looked so good that I had to make it. The banana adds a subtle flavour, as with the orange rind. 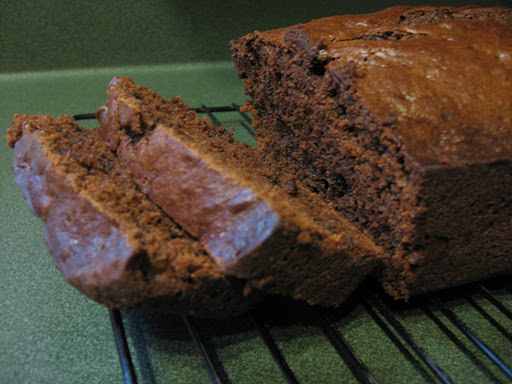 This loaf is very chocolately and rich making it perfect for those chocolate cravings. I used Starbucks instant coffee. 1. Preheat over to 325F. Grease a 5×9 inch loaf pan well. 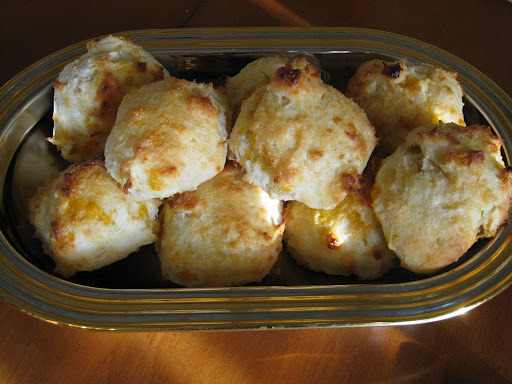 In a medium bowl using an electric mixer, cream butter, brown sugar and coffee powder until light and fluffy. 2. Add eggs one at a time, beating well after each addition. Stir in orange rind. 3. In a small bowl, whisk together flour, cocoa, baking soda and salt. Add to butter mixture alternately with mashed bananas, beginning and ending with dry ingredients. Stir in chocolate chips and spread into prepared pan. 4. Bake for about 50-60 minutes, or until a toothpick inserted into the centre comes out clean. Cool in pan about 10 minutes, invert onto a rack and continue cooling. 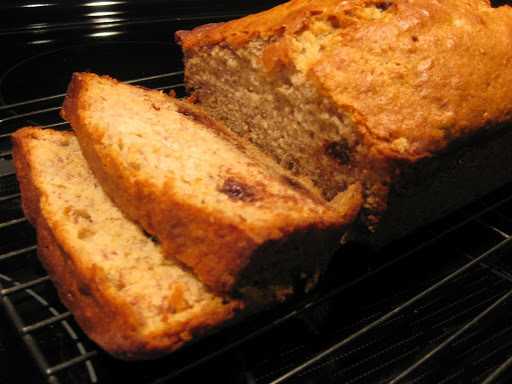 I’ve made lots of different banana bread recipes and this is the one I like the best. It is taken from Better Homes and Gardens New Cookbook. I use 1/2 cup melted butter and instead of walnuts I add 1/4 cup of chocolate chips. 1. 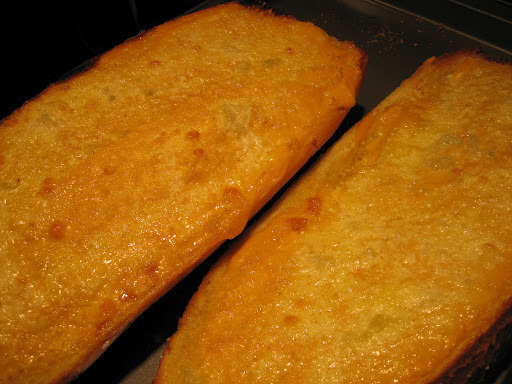 Grease bottom and 1/2 inch of the sides of one 9x5x3-inch or two 7 1/2×3 1/2×2-inch loaf pans; set aside. Combine flour, baking powder, baking soda, cinnamon, nutmeg, and 1/4 teaspoon salt. Make a well in center of flour mixture; set aside. 2. In a medium bowl combine eggs, bananas, sugar and oil. Add egg mixture all at once to flour mixture. Stir just until moistened. Fold in nuts. Spoon batter into prepared pan(s). 3. 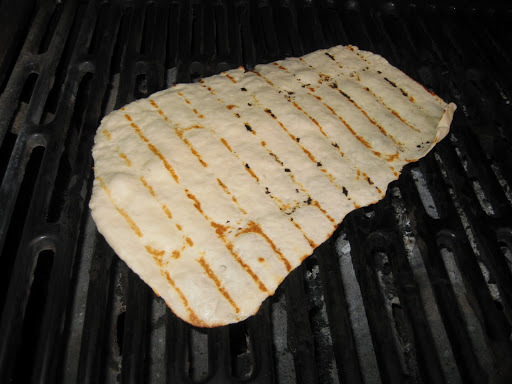 Bake in a 350 oven for 55 to 60 minutes for 9x5x3-inch pan, or 40 to 45 minutes for 7 1/2×3 1/2×2-inch pans, or until a wooden toothpick inserted near center comes out clean (if necessary, cover loosely with foil the last 15 minutes of baking to prevent over-browning). Cool in pan on a wire rack for 10 minutes. Remove from pan. Cool completely on a wire rack.